I feel like I hit the auditory lottery this last year in a lot of ways. Opening my mind to another side of music has been a delicious adventure that I really didn't anticipate shaping and changing me the way it did. I started this blog/podcast focused on local artists which became almost exclusively a ska/reggae/rocksteady undertaking. It's music that lights me up and a scene that welcomed and encouraged what I was trying to do with this whole project. I wanted to share what I was finding in the scene. I wanted to promote and push bands, albums, and shows that were regional into an international audience. This has always and will always be my mission, but I have had to admit that my blinders were on. Jam guy meets Ska girl. They bond over punk rock and get married. We found out the two scenes we come from were so incredibly similar in so many ways. The vibe, the crowds, the social ideas were very much the same but still there was some strange imaginary line that people seem afraid to cross. Bands were doing it musically all the time, but the shows and the crowds have remained so very separate. I don't know why this is, and it has become a mission of mine to change that. I was not aware that inside what is considered the jam scene is an entirely different reggae scene than I was accustomed to. I want to share it. These two scenes should be finding love and getting married all over the place. I touched on this in my pieces about Spiritual Rez and most recently The Elovaters. These incredible reggae bands that seem so well known in the jam scene but not quite as recognized in the ska scene and I am at a loss as to why. They skate this golden line in between the scenes. They make up these threads that tie them together. I want to tighten those threads. Not long ago, I came across the name Giant Panda Guerilla Dub Squad on a festival lineup flyer. First thought - that is a whole lot to say in one breath. To have a name like that, you really need to have some pretty incredible sound going on. Naturally, I hit up my husband who's exact words were, "DUDE. THEY ARE INCREDIBLE." Consider my interest piqued. I happened to see that they had a 2016 release, Make It Better and it had debuted at #1 on the Billboard Reggae Chart. Woah. Ok, so I probably should have been well in the know about these guys. But again, that stupid line in the sand exists between a lot of ska scene and the jam scene. More prevalent was the stupid line in the sand that was drawn in my own head. In my usual way, I immersed myself in the album for a few weeks. It's been on heavy rotation in my car (where I spend a lot of time - I'm a New Jersey commuter) and in my headphones at work while I am piling numbers into a computer. From the first day, I was a fan. A big fan. 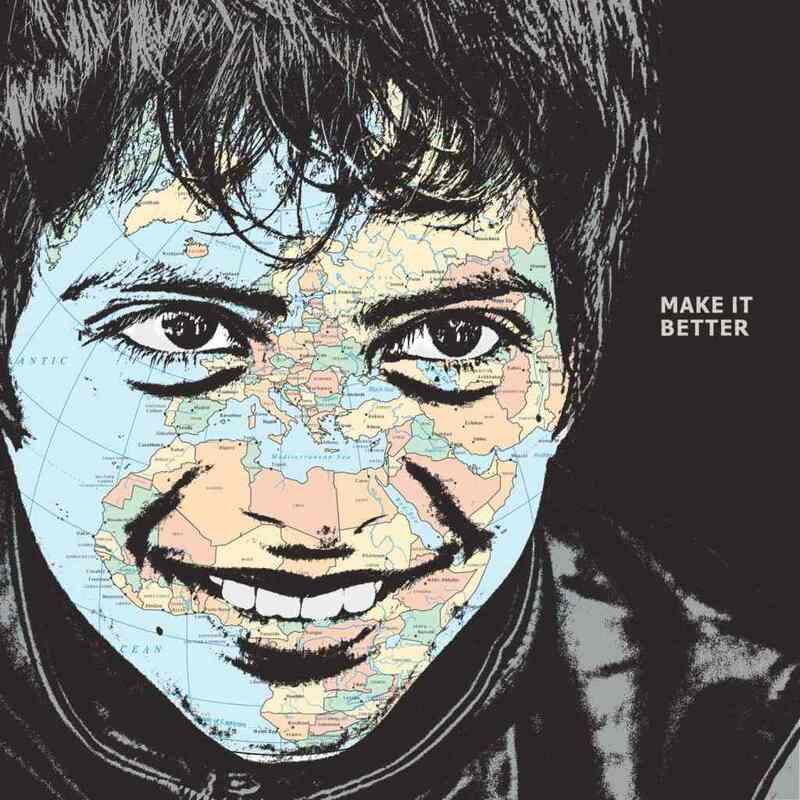 Make it Better is easily the best album I have come across in a very long time. The grooves are so smooth but tight and flowing. There is a light horn layer throughout the album that gives it a ska scene flavor, further adding to my complete bewilderment at the fact that this band is not more celebrated in the circles I tend to run in. The drums are clean and steady. They are simple enough not to overtake the songs but still dripping with the talent that is so prevalent on this entire album. The bass lines are straight groove start to finish. They have a body moving feel that travels through the song like this determined walk with a purpose. The guitar is gorgeous. It goes from steady reggae rhythms to folk acoustic tastings and every path in between. Everything that creates the sounds of this record is perfectly orchestrated and put together to create a clean sound. If this is a studio album, I am positively determined to catch these guys live. I toyed with the idea of YouTubing some live stuff to play compare and contrast but it won't be the same and I need to hear this live. All of the rumblings about the band that I have come across paint them as a must see, Who am I to argue? And while we are on the subject of the incredible fabric that makes up this album, the vocals. Oh, the vocals on this record! Amanda - A Perfect Mess vocal whore is HAPPY. The melodies are incredibly inventive and the harmonies are gorgeous. These guys have a flare for vocals as a whole and it's really impressive. The tone of the lyrics is hopeful. Soothing. Socially conscious and breathing love and unity. All things we need. All things there is not nearly enough of. 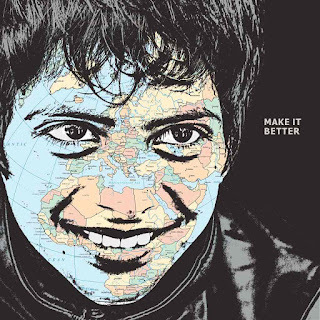 Make it Better - I am positively obsessed with this song. It comes in strong and steady with such a great beat. Great horns, great harmonies, incredible lyrics. "In your wake, don't make it bad. Go make it better." Its the way I genuinely try to live my life. Its the ideas I raise my kids with. These guys have such a great message of hope while still being self reflective. Add that to the fact that the song in amazing. Walk Right Talk Right - Dude, the groove in this song. Infectious. Let it move you. This is a dancing in my car in traffic song and not caring who sees me. Every element of an incredible reggae song is present but still injected with flare and taste that sets it so far apart from something typical. Gone - This is that beautiful guitar that I was referring to earlier. It's such a highlight of this song. This has that reggae beat but this song is so much more than that from start to finish. Vocally inventive and put together in such a way that I am being stroked to the soul with some kind of gentle hand. It's a song to get lost in, in the best possible ways. I like to say that this is the third reggae artist I have come across in recent months that have this sunshine sensation to their music, but it's so much more than that with GPGDS. They are not just the sunshine, they are the warmth. They are a message and a feeling of hope in what has become an incredibly scary world. Listening to this album will give you a soul clutching calm if you let it while still moving your body to steady grooves. This record is a hug on an already great day kind of feeling and I can't get enough of it. I am addicted to the sound these guys are creating. Even as I write this sentence, the song Signs is blaring in my headphones and all I can think about is getting out of work today, getting in my car, opening up the sunroof and letting the sun just hit me. I want to absorb the energy and share it with everyone who needs it. Giant Panda Guerilla Dub Squad are out there doing that thing they do so well. If you are local to me, they will be in Brooklyn on April 27th at The Hall at MP. They are also going to be at Disc Jam which I am trying like crazy to find my way to. (holy lineup, Batman). You can check out when they will be near you on their tour page HERE. I cannot recommend strongly enough that you get out and check them out.